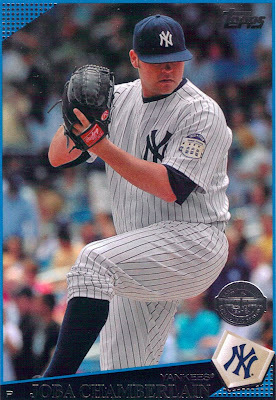 This could be the last chance I have to post this card of Joba Chamberlain as a Yankee. The first order of business seems to be re-signing Joe Girardi, who Jon Heyman expects to be signed to a three-year, $9 million deal. Many fans have suggested Chamberlain should be traded this offseason. I am one of them.